I drew this for the Illustration Friday topic, mail. 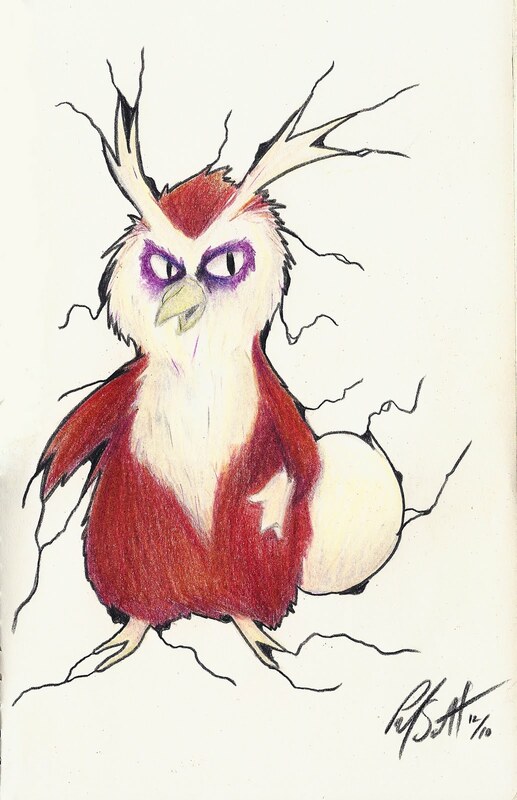 This is a drawing of Delibird, a character from the Pokémon video game franchise. I thought of this because Delibird keeps food and items in it's sack like tail and delivers them to people. Plus it's holiday time and this character is obviously based on a penguin and Santa Claus. This was also draw in my 2011 Sketchbook Project Tour sketchbook. My Art is on the Front Page of a Newspaper!